Let’s face it, people are getting just a little bit fed up with the banks. Everything comes with a fee, customer service leaves something to be desired, and there’s always a news story about the industry posting record profits year in and year out. Consumers are getting frustrated with the rising costs that come with the privilege of allowing the banks to handle and manage their money. Many have had enough and begun turning to alternative financial institutions in the form of credit unions. You’ve likely heard of these before but you may not know much about them. It’s possible you aren’t even aware that credit unions function in much the same way as banks, providing similar products and services with fewer or less expensive fees. 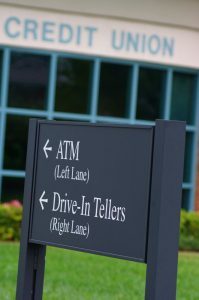 It’s true, a credit union is comparable to a traditional bank with many of the same benefits, protections, and account options that have become familiar to the public. These smaller organizations are just now getting some more attention because of the growing malfeasance and disappointing business practices that have become synonymous with the banking industry since the Great Recession. In order to get a better understanding of the differences and benefits of working with a bank or a credit union, let’s take a look at how each one operates and some of the advantages, and disadvantages, that come with it. The backbone and lifeblood of our economy, banks are the prime movers of money in that they bring borrowers and depositors together and act as a mediator to keep the financial system operating smoothly. In order to facilitate this, the bank accepts deposits from people like you and me, called lenders, and gives that money to people who are looking for loans and other products that banks offer, these are called borrowers. The banks pay you to entrust your money with them through something called interest, which they also charge the borrowers to whom they give your money. At it’s most basic, this couldn’t be a simpler process to understand. But as the system has grown and financial services have devised so many ways to make and create money, the process has become incredibly complex and the best interests of regular consumers gets a bit lost in the shuffle. As we have become more dependent on the banking sector to move and increase our money, the fees that come with it have inflated as well. Everything from having a representative help you on the phone, to using the ATM, to having an overdraft on your account comes with a dollar amount designed to profit from allowing you to give banks your money. In today’s highly competitive marketplace the banks seem to be more focused on how much of that money they can put in their own pockets. In 2015, the top U.S. lenders earned a record $43 billion in profits in just the second quarter alone, which represented a 7.3% increase from that same quarter in the previous year. This additional revenue combined with the lower costs associated with litigation meant that the banks had improved their financial performance in net income by $2.6 billion from just 2013. It’s no wonder consumers are looking for alternative methods of banking when it appears that they are giving these organizations more of their money and seeing less of it back. The banks create money through a variety of methods and sophisticated market strategies in order to maintain a set amount of cash reserves that must be available at all times, in addition to simply increasing their bottom line for shareholders and executives. The banks cannot lend out everything that they take in, so they keep cash or securities that may be converted into accessible cash, and these amounts are based on speculative assessments of the needs of their depositors along with certain banking regulations that have been implemented by the Central Bank, the banking organization that serves as the heart and nerve center of a country’s entire banking system. The banks are not allowed, nor equipped, to give out the full amount of the monies that are introduced through depositors so they devised ways to create money from lending out the portion that was left after the reserves were set aside. As cash flows in and out of the system, often from banking institution to banking institution, that money continues to yield a profit as it can be lent back out by each bank that receives it. This is called the multiplier effect and it grows the supply of money within a country based upon that money’s availability for lending. The banks create money through other ways that might be more familiar to the layman who deals with their banking institution on a regular basis. Through a constant lending and recycling of money, the banks devise, distribute, and trade securities between one another. This trading generates income. The banks also charge those litany of fees that each and every one of us are forced to contend with if we wish to participate in the current economy. Cash has become increasingly phased out as the standard method of payment, with online banking and mobile phone apps turning all financial transactions into digital operations. We all own credit and debit cards and pay for everything through websites or by automated phone systems these days. To adjust, the banks have found new ways to make money off many of these services, in addition to the more traditional methods of generating revenue through banking account fees, investment banking fees, loan servicing fees, origination and closing costs fees, overdraft fees, and so on. The primary function of banks is to take in deposits and loan out that money to individuals and businesses that need it. A majority of the depositors don’t need their money back immediately, so the banks can provide long-term loans from these shorter-term deposits. Through the practice of maturity transformation, banks turn their liabilities (the money that is deposited) into assets (the money that is lent out) and the interest is where the bank turns a profit. The banks pay the depositors less than they charge lenders and pocket the difference. These loans are given to qualifying borrowers at different terms and amounts, but the banks also lend through securities and bonds. That was the phrase we all heard over and over again during the economic crisis of 2008 and 2009, when the banks were bailed out by the U.S. government to the tune of $700 billion. Some of the largest and most widely trusted banking firms and financial institutions including HSBC, JP Morgan Chase, Goldman Sachs, and others had been involved in a laundry list of irresponsible, immoral, and illicit business practices from laundering drug cartel money to insider trading to Chase and Goldman working with hedge funds to bet against the failing mortgages they helped issue that were doomed to default from the get-go. Billions of dollars were gained through these bad behaviors and very few executives saw jail time with mere pittances assessed in penalties and fines. But consider how much we rely on the banking system and the purposes it serves and the phrase is all too apt even today, after the bailouts were given. Everything we do that involves money requires the inclusion of one or more banks. When you pay your bills, particularly through online portals, there are at least two banks involved, the institution that gives out the money and the one that receives it. Sometimes they are the same bank. There is a veritable network of banks involved with moving money around, allowing each to make money on the payments that each and every one of us make on a daily basis. 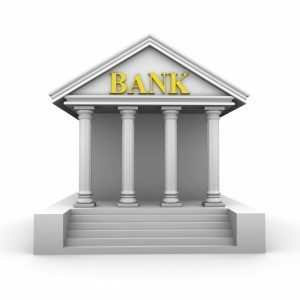 Despite all of the many frustrations and recent issues that have come to light with respect to the banking sector in the U.S. and the inherent disadvantages that exist as a result, there are still plenty of advantages to putting your money into a traditional bank. Since we depend on banks to provide so many fundamental services, you’re going to find a lot of them. In fact, some of the biggest institutions including Chase, Bank of America, and Wells Fargo, just to name a few offer a staggering amount of branches and ATM’s that are available to their members to make conducting business entirely convenient, 24 hours a day. You don’t have to go into a branch anymore, either, as the major banks have a multi-purpose and highly advanced website that lets you conduct a whole range of transactions. 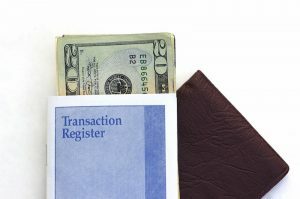 These advantages don’t just stop here in the U.S. either as many of these banks operate internationally. This way, even if you are traveling abroad, you can still access your money from your bank instead of resorting to another one and paying any fees that might be required for them to help you out. Your money is also safe, for the most part. Traditional banks are insured by the Federal Deposit Insurance Corporation (FDIC) which is an independent overseer implemented by Congress to safeguard the stability and public confidence in the financial system. Every depositor is insured for up to at least $250,000. Banks also offer a wide array of checking and saving accounts, credit cards with attractive cash back rewards and other incentives, and a menu of financial products and services that cater to the entire spectrum of customers who need their monetary requirements met at any level. These conveniences are the primary reason a majority of us decide to put our money into a traditional bank account and continue to do so despite less than impressive customer service and those high fees that we all pay begrudgingly. 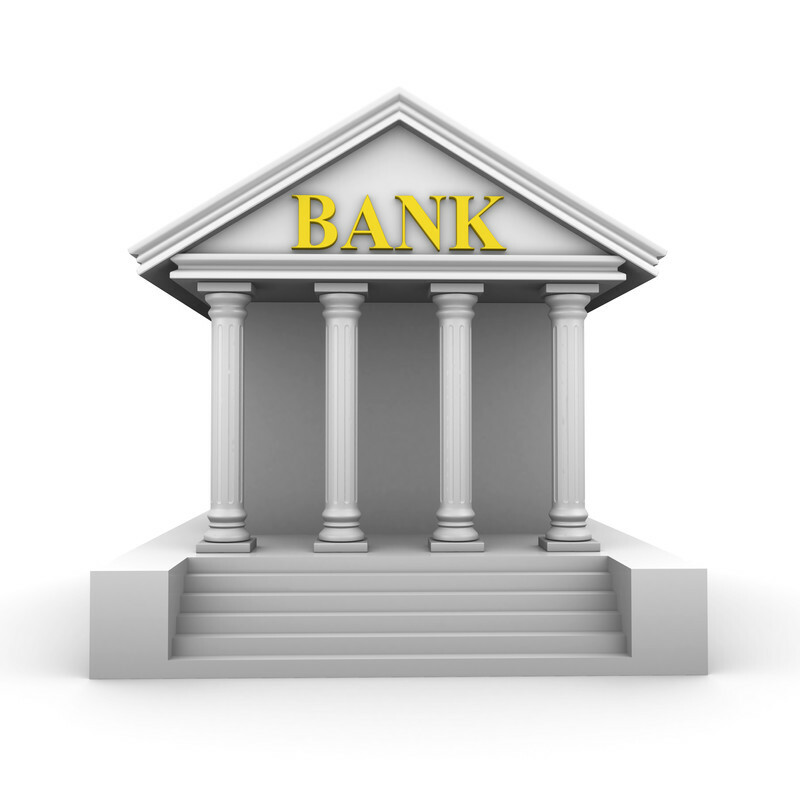 Perhaps the most important difference between a traditional bank and a credit union is profit. While banks are “for-profit” entities that are beholden to shareholders and can often make their customers feel like a cog in a massive system, credit unions are “non-profit” institutions that are made up of a collective of members who essentially own and operate the organization in lieu of shareholders. 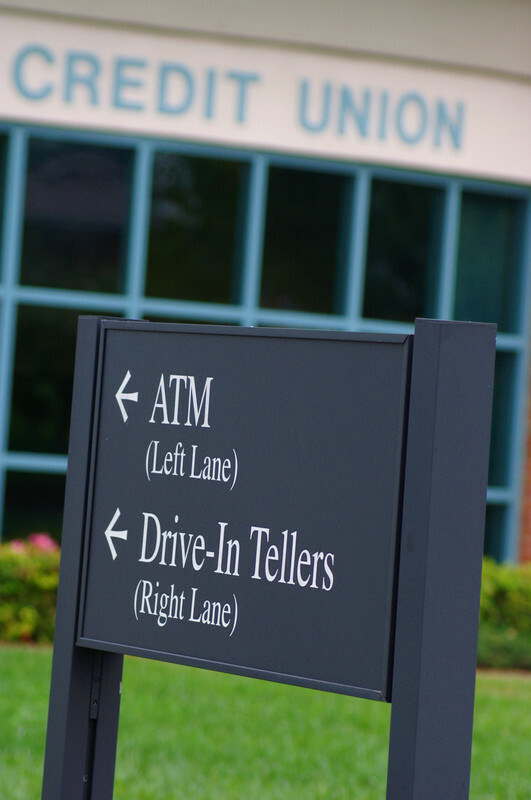 A credit union is a financial institution that offers most of the same products and services that you’ll find at a traditional bank, including everything from standard checking and savings accounts, credit cards, CD’s, and loan services that are just the same in almost every regard, but usually at lower fees and rates. The reason for this is because credit unions are made up of a cooperative membership, people just like you and me, who work together in the same borrower/lender capacity. The major difference here is the lack of shareholders and thus more leeway to charge less or no fees for common products and the ability to enjoy higher rates of return on the money you deposit. Best of all, when you become a member of a credit union you have input in the direction of the organization. You’re a much more effective cog in a very different kind of machine. These cooperatives rely on each other instead of alternative capital to improve their loan portfolios and, as a result, enjoy higher returns on their investments in the institution. A credit union is made up of a particular membership where the members usually hold a certain commonality or bond. For instance, Navy Federal Credit Union is a banking organization that caters to members of all branches of the military including the Army, Navy, Air Force, Marines, and Coast Guard and their families. If you can count yourself among this elite group then you are eligible to join the credit union. Some corporations and companies have credit union components that only the employees (and their families) may use as their primary banking institution. There are credit unions for teachers that accept membership from within a specific school district while others invite teachers from both public and private schools from within the entire state. Not every credit union is explicitly strict with its affiliation requirements, as some of them may invite membership from individuals who simply live within the immediate community of a town or state. But whatever the membership structure of that particular credit union, every member has an opportunity to volunteer for nomination to the credit union’s board of directors, vote in elections, and participate in all matters pertaining to the operation of the credit union. These aren’t determined by the size of the account either, as the individual with the largest amount of funds in his or her account has the same voice as the individual with the least amount. Credit unions function in much the same way as a traditional bank with the one caveat of membership eligibility. In order to be eligible for membership, you must qualify within that particular credit union’s set of requirements. But for those of you who aren’t members of the military, teacher’s union, firefighters union or employee base of a specific corporation, there are credit unions that serve the community in which you live. Visit the branch or website near you and they will list the necessary conditions that must be met in order to apply for membership. Once you are accepted as a member you can enjoy all of the benefits of the functions they offer. Much like a bank, credit unions meet the needs of their customers just as effectively with direct deposit, electronic banking, ATM’s, electronic debits and transfers, and financial counseling services. Their loan departments also function in the very same way as a bank, offering mortgage and home equity loans, business loans, car loans, and pretty much any type of lending arrangement you can get at Bank of America or Citibank. Anyone applying for a loan will still be subject to the typical qualification protocols with respect to credit score and overall financial risk assessment. The only difference between the bank and the credit union will be far lower interest rates. Car loans in particular are a much better deal with a credit union than with a dealership financing company or traditional banking organization. Membership really has its privileges in this instance. In addition to the lower loan rates, credit union members can enjoy other distinctive benefits and advantages over putting their money in a traditional bank. Those lower rates don’t just apply to loans either, as credit card APR rates are consistently much less than those offered by the larger banks. The only rates that are higher for credit union members are the raised interest rates on the money they deposit into the union, and that additional interest doesn’t apply on just some of their accounts, either. Customers who bank with credit unions receive increased interest on checking, savings, and money market accounts often to the tune of 5 to 8 times more than you can find at the bank. Best of all are the lower or no fees that are charged for simple day to day banking operations. Most credit unions offer checking accounts with no minimum balance or charge a servicing fees for accounts that fall below any minimum. Electronic transfers and withdrawals are also free, they don’t charge fees for ATM cards used at ATM’s other than their own (and some credit unions will even reimburse you the monies that other banks charge to use their machines), and their overdraft fees are far less expensive than those at your traditional bank. Finally, just like the banks, deposits are insured, just not through the FDIC. The National Credit Union Share Insurance Fund (NCUSIF), which is also backed by the federal government in just the same way as the FDIC, insures all credit union accounts for up to at least $250,000. Since credit unions are member organizations with smaller customer bases than traditional banks, you get more personal attention from credit union clerks and representatives. In fact, the overall customer experience with a credit union has been ranked consistently and considerably higher than that with your big bank for the years between 2010 and 2015. These organizations also offer personal counseling services to help their members manage their money more effectively and responsibly. This personal touch makes clients feel more welcome and better taken care of when it comes to their financial needs. While fees aren’t necessarily a major component of banking with a credit union, they do collect them with some regularity. But the difference here is that, while bank fees go to the bank executives and stockholders as profit, credit union profits are put back into the union through dividends, lower rates, and a willingness to work with clients who are looking for loans but have less than perfect credit histories with excessive debt commitments. You’re probably thinking that, if credit unions are so fantastic, then why aren’t more people banking with these institutions instead of the large banks? As attractive as a credit union might be, there are definite drawbacks. The first of these being limitations on just about everything. Limited products and services as banks may offer far more types of accounts, loan services, and credit cards, fewer cash back rewards on those credit cards, limited branches for banking, limited to very little profile internationally, and limited online banking options. Credit unions have kept pace with the banks on most capabilities, with the significant exception of technological advancement. Some of them don’t have websites or the sites they do have offer a lesser number of options beyond checking your balance and transferring your funds from one account to another. This just enforces the smaller experience that credit unions offer in contrast to the big banks. Credit unions or banks? Each one has distinct advantages and drawbacks and it all revolves around money; your money and how much of it you are willing to part with in order to manage it in a manner consistent with the speed of business in today’s marketplace. Therefore, the decision to go with one over the other lies with your unique set of priorities and needs when it comes to managing your finances. I have been a customer of different banks and credit unions over the years, and have to say that in my experience that credit unions have won me over. With the great level of customer care, amazing loan rates, and savings rates that are of great benefit – I don’t plan on ever leaving my credit union. Great comparison of the two, thanks for sharing!